Get the most spacious and innovative photo booth in Portland. 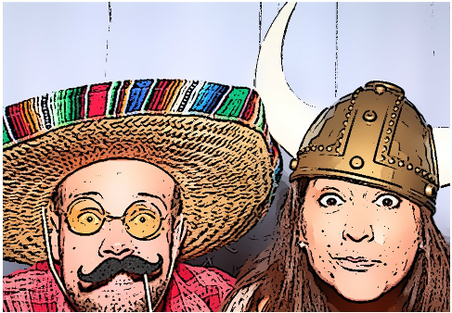 Your guests will have a blast with our fun props, special effects filters, video and instant Facebook sharing. Learn more. 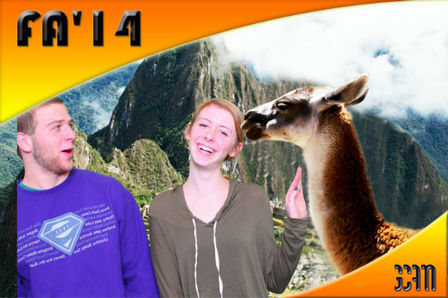 We'll design backgrounds themed and branded to your party -- and then your guests will use the green screen to insert themselves into the scenes. It's great interactive fun! Learn more. Everyone goes home with a photo souvenir. Guests can record a "video toast" to newlyweds or guest of honor. We can make your guests into a cartoon! We'll create a custom branded background. Great for branding. Guests post photos to Facebook-- and then 'like' your FB page. 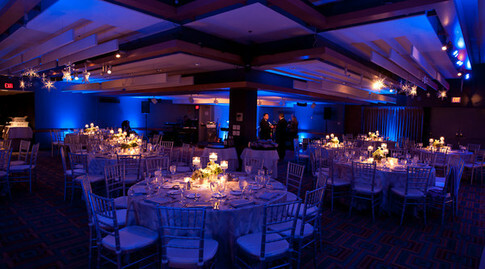 Embellish your Portland or Wine Country wedding reception or party venue with spectacular uplighting. Our sister company, Portland Wedding Lights, can "wash" your entire venue with color, enhancing and blending with your wedding theme and venue architecture to create just the ambiance and mood you want. By controlling light intensity we can create soft romantic settings that are nothing short of amazing. Complementing the wash lighting are dramatic pin-spots that will make your cake and centerpieces visually "pop."